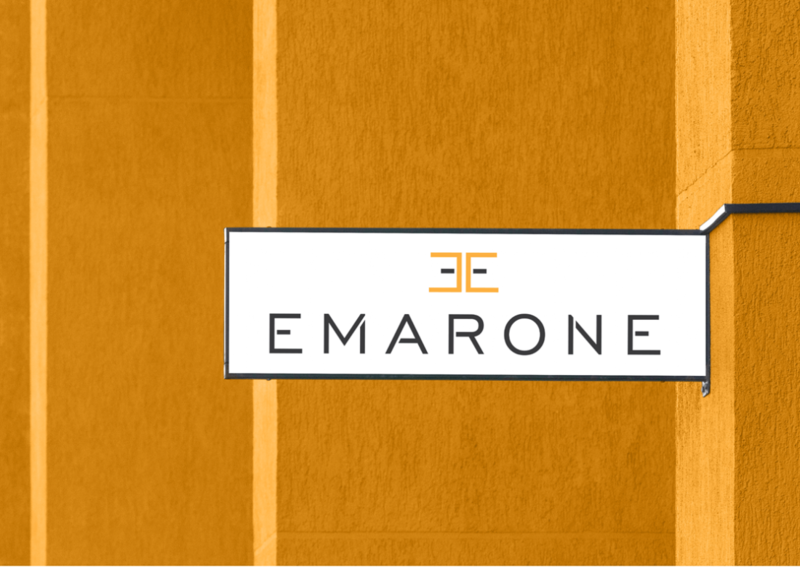 Emarone is the first real estate project completed by Sogimmo, a real estate development company, marked by a total involvement and more than 20 years of know-how as a pledge of confidence and durability. 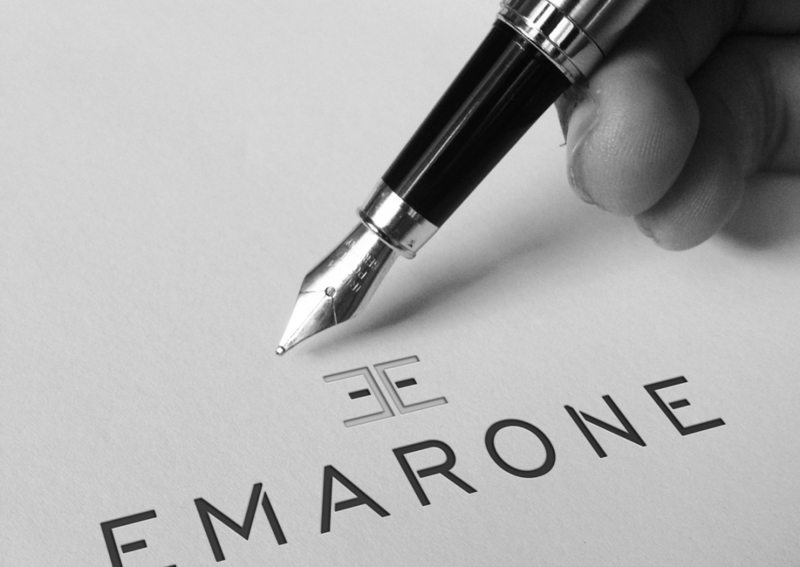 Résidence Emarone Collex-Bossy is a beautiful luxury complex in Switzerland with a charming refined village architecture that gives the property a very intimate character. Built with high quality materials, the two floor condominium benefits from large windows that help fill the rooms with sunlight and bring a sense of freshness and vitality. Minthical’s first task was to create an effective logo design that would be authentic, distinctive, versatile and memorable. To ensure optimal visibility, we chose a simple but stylish typography and we looked into using a lighter color and complement it with a neutral one to create a strong contrast and make a bold statement. 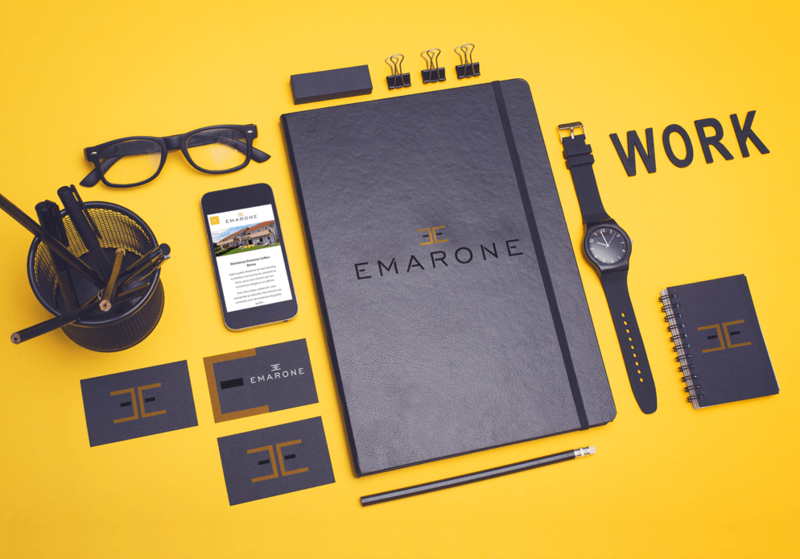 A modern and innovative logo, with clean cut shapes is both eye-catching and easy applicable as it needs to be clear enough to be used online, print, embroidery, laser cut metal, stamps, letterpress, patterns, textiles. 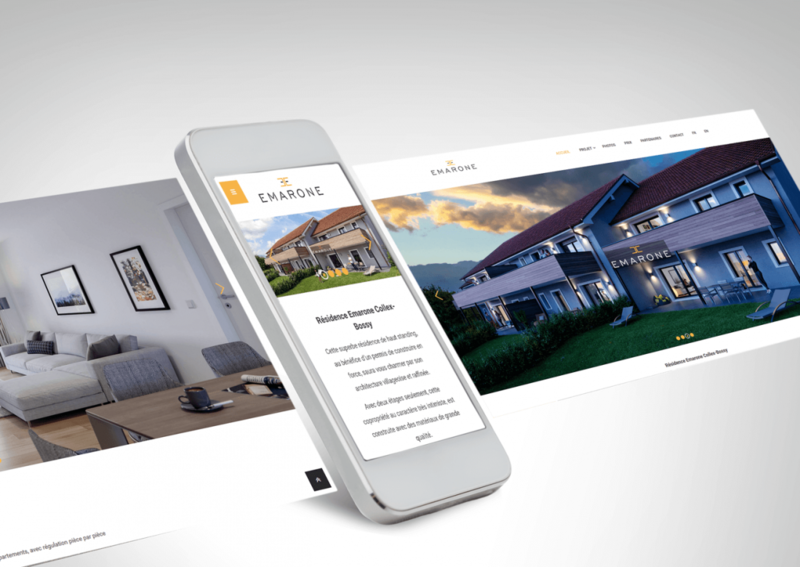 A major role in developing the visual identity of the brand is played by a comprehensible website design that could reflect the brand equity and also the nature of its visitors. A key skill to make an impact was to deliver in an engaging way a persuasive story filled with data, design, analytical thinking. 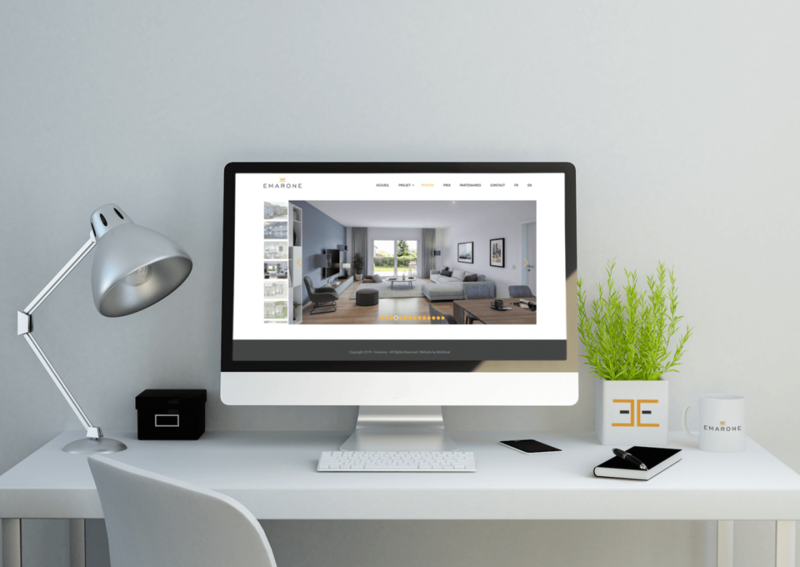 The concept centers around the combination of content such as project presentations, technical descriptions, prices, maps and engaging imagery, including a virtual visit to help consumers develop a better customer journey and context awareness. A potent tool in bringing clarity and purpose is using high-quality images that allow people to leverage creative visualizations. We aimed to lay emphasis on the shape and the visual character of the building captured from different perspectives. In today’s marketplace the mantra to survive is innovation. 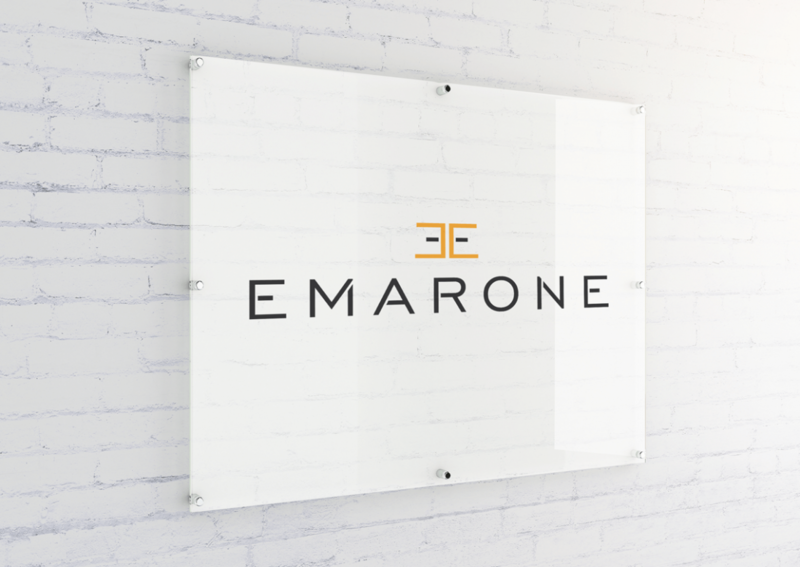 Working with Emarone challenged us to think out of the box and brainstorm on a myriad of ideas in order to come up with a cool, modern design, relevant to the industry and with a strong impact on the human needs addressed.